Have you heard of RENDEZVOUS yet? This is a fly fishing annual event that will be 29 years old in November! Please visit my website http://pages.suddenlink.net/w/Rendez/indexR. clubs from both states to gather for a great weekend together. dining room table where you can sit and watch and ask any questions. fly tyer who is featured in Fly Tyer Magazine and on its cover as well. stuff and enough food to share. Hope to see you there. Excitement builds as Oktoberfisch 2017 nears. 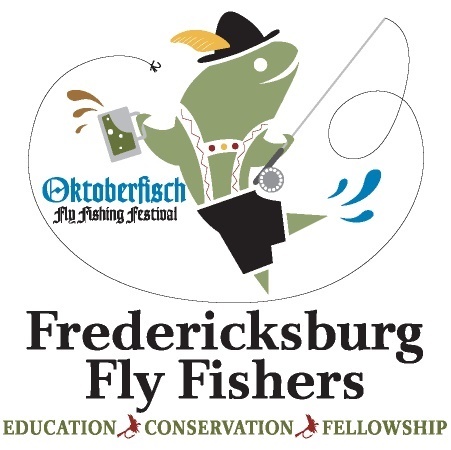 We have an awesome fly tying venue, steak dinner, live entertainment, kayak instruction, casting instructing, kayak shuttles, new T-Shirt designs, Guide fishing samples, swap meet items, supportive vendors, fish movies, new and exciting raffle / silent auction items and lots and lots of fellowship. Oh… did we mention that TPWD is doing a special stocking of Guadalupe Bass with prizes for catching tagged fish? October 14th (Saturday) will be a primp and trim day at the South Llano River RV Park in Junction. The club will provide lunch as we all bring our own weed eaters, grub hoes, waders and a shovel or two in order to get things ship shape for our big party. October 19th we will be there to set up tents and get ready for our huge gathering on the 20th. Oktoberfisch is fast approaching, Oct 20 to 22. Don’t miss a great fly fishing festival at South Llano RV Park in Junction.